O4BO Today: Why do I need ERP for my Business? If it is true that no two companies are alike, can it also be true that all companies are alike? Yes it is true. While no two companies are exactly alike and they may have vastly different needs for Information Systems, all companies share the same needs for current and accurate information for decision support. An Enterprise Resource Planning (ERP) system is designed to provide the current and accurate information about what is going on in your business. Clearly a large organization with multiple departments and many business processes needs a system that provides that clear picture and helps forecast needs and the impact of changes. It may not be as clear when the organization is small, but the impact of an unforeseen event may have MORE significance to a small business due to the relatively high percentage impact it may have. If you drop the ball by letting something get through you might decide you need an ERP system. I would add that whether or not you have an ERP system per se or you are still running on spreadsheets and paper, you still have an ERP system, just not a good one. Manual processes are fine and many large organizations have dozens of manual processes, so you do not need to automate everything to achieve improvements in your accounting and planning. If you find yourself putting in more and more time just trying to manage your business and collect information from various sources like spreadsheets or paper, then you might want to consider buying and implementing an ERP system. 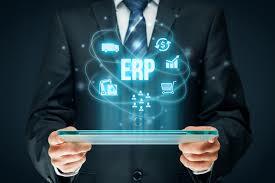 So what are the benefits of an ERP system? Reduces workflow effort by eliminating duplicate work. With an ERP system everything is synchronized and various workflows feed each other and requires less effort than transcribing or copy and paste data from one application to another. Reduces errors. Every manual process that requires data to be entered into another system has the potential for errors in copying that data, and the impact of that alone could justify getting an ERP system. Improves management, almost without saying if management does not have current and accurate data then the decisions they make will be less well informed and the potential for making bad decisions goes up. Improves productivity. Yes the entire organization can see improvements due to automation and the time lost just trying to track down some missing information from manual or semi manual systems. Sometimes two applications an show two different numbers and finding out which one is correct can be very difficult. Lastly your performance measurements will be better and that can have a positive ripple effect win the morale of the organization. Almost any organization can benefit from an ERP system, small or large. There are many ERP systems out there from Open Source to Mega Systems that cost a lot. Which one will depend on your needs and budget. You can choose from Online systems as Software as a Service, or you can install ERP solutions in house. We cater to Small Business so we have ERP solutions that are Software as a Service for a very low cost tailored specifically to Small Business yet designed to scale up as your business grows.